FINAL SALE. Is it possible to have the best of both worlds? 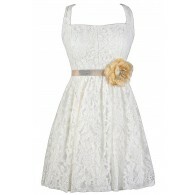 It certainly is, when you show up in this cute black and ivory A-line dress. 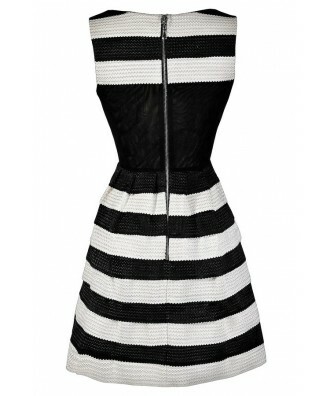 The Best of Both Worlds Textured Black and Ivory Stripe A-Line Dress is fully lined except for the semi-sheer mesh panel at the back. It is made of a substantial heavy fabric with textured waves. Alternating bands of black and ivory create a horizontal stripe pattern throughout. 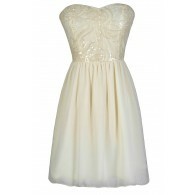 This dress has a rounded neckline and a classic A-line cut that flatters so many women. A semi-sheer black mesh panel at the back and an exposed back zipper complete this fun and classic party dress. The Best of Both Worlds Textured Black and Ivory Stripe A-Line Dress would look nice paired with black tights and pumps or heels and a clutch for any upcoming party or event. 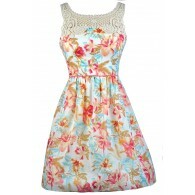 You can also wear this dress with pumps or wedges during warmer months. 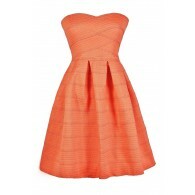 This is a lovely dress that can be worn in all 4 seasons, depending on how you accessorize. Details: Fully lined except at top back. Exposed back zipper. 60% polyester, 40% latex. Hand wash cold with like colors. Do not bleach. Low iron. Small measurements: Length from top of shoulder to hemline: 33". Bust: 34". 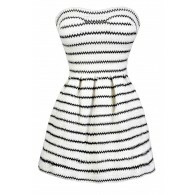 You have added Best of Both Worlds Textured Black and Ivory Stripe A-Line Dress into Wishlist. 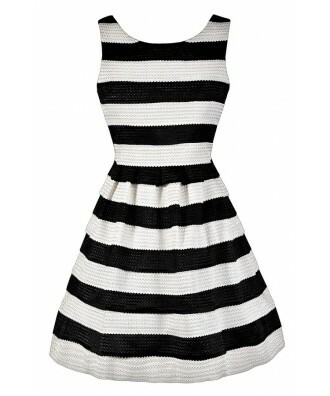 You have added Best of Both Worlds Textured Black and Ivory Stripe A-Line Dress for Stock Notification. 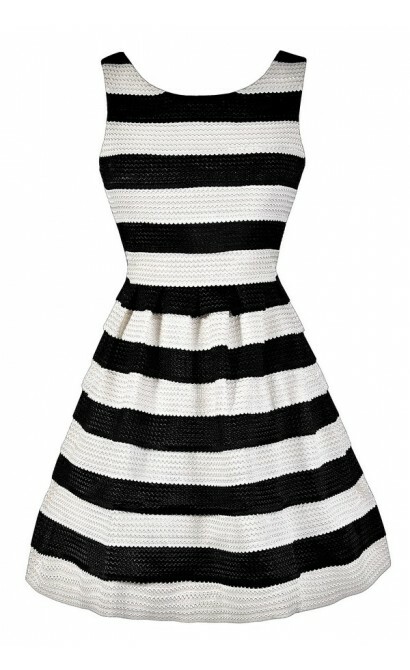 You have set Best of Both Worlds Textured Black and Ivory Stripe A-Line Dress as a loved product. 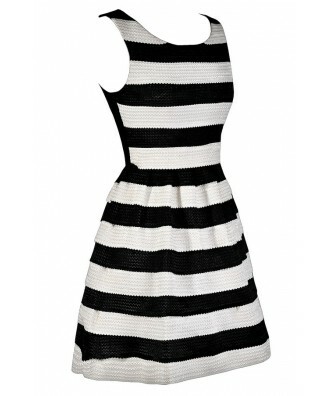 You have removed Best of Both Worlds Textured Black and Ivory Stripe A-Line Dress as a loved product.